Trivandrum, 4 December 2012: Leading cellular operator Aircel plans to shut down its operations in the Kerala circle, reports Mathrubhumi. As per the sources, Aircel plans to wind up its postpaid connections in the state during the end of the month. The customers is experiencing acute shortage of recharge coupons as the complany is not supplying it to the agents. 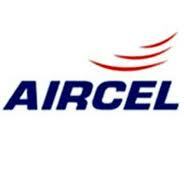 Aircel has demanded its postpaid customers to switch to pre-paid plans too. Aircel group is a joint venture between Maxis Communications Berhad of Malaysia and Sindya Securities & Investments Private Limited. The company headquartered in Chennai launched its Kerala operations three years back. It is India’s fifth largest GSM mobile service provider & seventh largest mobile service provider (both GSM and CDMA) with a subscriber base of over 66.79 million, as of November, 2012. It has a market share of 7.13% among the GSM operators in the country.